Thanks so much Domino for making Love Made Visible an Instant Bookmark! I’m beyond flattered. Be sure to check out the two fab blogs that are also Instant Bookmarks this month: The Sartorialist and Domestically Inclined. While leafing through the September books I came across these great envelopes. Bari Zaki has affixed vintage postage to her envelopes that are completely mailable with no additional postage required. Each envelope is one-of-a-kind… the ones shown are examples of what one might recieve. The envelopes themselves are reproductions of various envelopes she herself has received. Such a wonderful idea for distinctive correspondence! Large Bureau de Poste, $10 for one envelope with card and mailing label at Greer Chicago. Also available in a smaller size for $8. Lurex Minidress, $168. Passementerie Dress, $458. Such a crazy week for me. I apologize for neglecting this…. I was looking at d*s and saw that Grace had posted about the paintings of Jen Garrido. These are totally swoon-worthy and I had to post them here too. 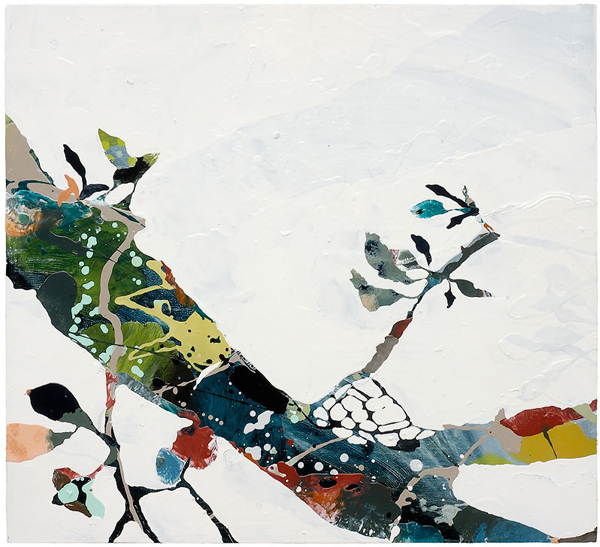 Great color combinations, great compositions and form. So graphic… reminds me of this Marimekko fabric but with an edge plus gorgeous textures. Beautiful stuff. New Cards @ Good on Paper! Lisa from Good on Paper emailed me this morning to announce her new line of screened cards. The cards feature an adorable bird motif and are printed with vegetable inks on recycled paper. Great color combinations, as always. Lisa also has a new card called With You All the Way that she designed in the memory of her cousin Gary. 100% of the proceeds of this card benefit the American Cancer Society. 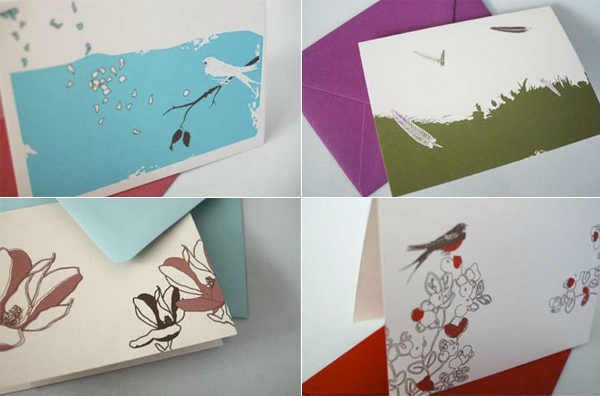 Clockwise from top left: Blue Bird Notecard, Feathers Notecard, Red Bird Notecard, Magnolia Notecard. All cards $4.25 each or $18 for a box of 8. Love the new canvas storage at West Elm. Looks like they’re taking up the lost business now-defunct Hold Everything used to secure. 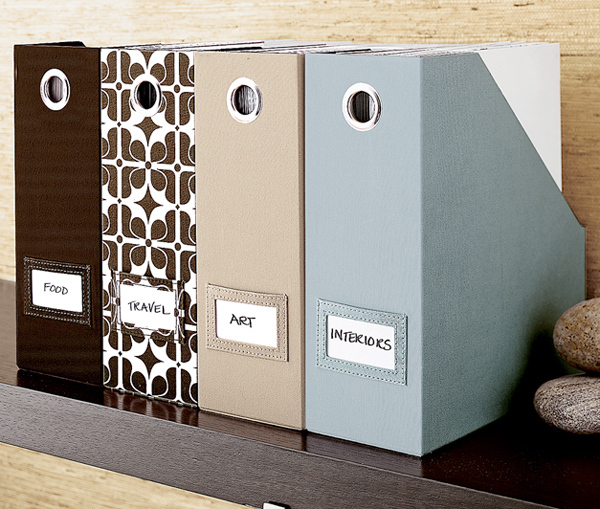 These storage boxes look a lot like the book board collection HE used to carry and it’s a good thing… those were fabulous. Great colors and crisp shiny hardware plus I’m loving the new Kenya print.